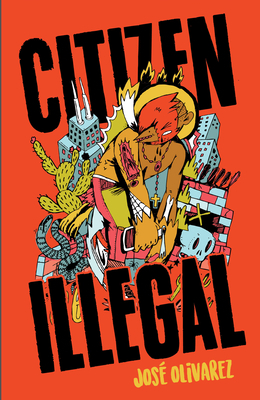 Discussing Citizen Illegal by Jose Olivarez. The Transnational Literature Series focuses on books concerned with migration, displacement, and exile, with particular emphasis on works in translation. Contact our moderator at brad@brooklinebooksmith.com. In this stunning debut, poet Jose Olivarez explores the stories, contradictions, joys, and sorrows that embody life in the spaces between Mexico and America. He paints vivid portraits of good kids, bad kids, families clinging to hope, life after the steel mills, gentrifying barrios, and everything in between. Drawing on the rich traditions of Latinx and Chicago writers like Sandra Cisneros and Gwendolyn Brooks, Olivarez creates a home out of life in the in-between. Combining wry humor with potent emotional force, Olivarez takes on complex issues of race, ethnicity, gender, class, and immigration using an everyday language that invites the reader in. Olivarez has a unique voice that makes him a poet to watch.